After a death occurs, the assets of the deceased typically are transferred to new owners through a process called probate. Probate serves many important purposes, such as making sure someone manages the assets of the deceased and making sure a last will and testament is legally valid. Probate also provides an opportunity for creditors to make claims on the estate. The process is overseen by the court and an executor or personal representative is in charge of filing court paperwork and facilitating the transfer of assets. An experienced New York estate planning attorney can help. Mark S. Eghrari and Associates, PLLC provides invaluable assistance throughout the probate process. Getting personalized legal advice during probate is essential, so give us a call. You can also browse the resources on probate below so you can learn more about what to expect during the probate process, which will help you be prepared to fulfill your role, whether you are an executor or a beneficiary. The website of the Surrogate’s Court for the 10th Judicial District. This website has details on the types of cases the surrogate court handles, information on the judge of the surrogate court, and details on how you can contact the court. There are telephone numbers for administration and small estates; for the law department; for the probate department; and for the records department, among others. Do It Yourself Surrogate Court Forms: The New York Court’s website has a DIY section for forms that are used in surrogate courts. There are forms for use if you are taking advantage of the Small Estate Affidavit Program, if you are seeking guardianship for an incapacitated or disabled adult, and if you need to get into a safety deposit box for someone who is deceased to find out if that person has a will. Although the DIY forms are easy to access, you should be cautious about trying to handle probate and estate planning matters on your own. The process can be complicated and there is often a lot of money at stake. Feel free to contact us to learn more about how an estate planning attorney in Suffolk County can help you with these forms. The American Academy of Estate Planning Attorneys: The American Academy of Estate Planning Attorneys is an invaluable resource for finding an attorney to help you with probate. The Academy is described as the “premiere national organization promoting excellence in estate planning.” Attorneys who are members must have proven experience in estate planning and elder law, and they must complete continuing education in their field each year to keep abreast of changes and new developments in the law. When looking for an attorney to guide you through probate, you should make sure your lawyer is a member of the American Academy of Estate Planning Attorneys. The American Bar Association’s FAQ Page: The American Bar Association provides answers to some of the most common questions people have about probate and provides some basic information that can help you to understand what to expect during probate. You can learn how probate works and can learn about why it may be preferable to try to engage in estate planning to avoid probate. The estate tax webpage of the Internal Revenue Service: This page has information on when federal estate taxes are charged. The exempt amount that can be passed on without incurring taxes changes periodically, so you can refer to this page to find current information on whether estate taxes will be owed. FAQ on estate taxes from the IRS: The Internal Revenue Services provides answers to some of the questions which people ask most commonly in connection with federal estate taxes. The NY Department of Taxation and Finance: This website provides information on estate taxes charged within New York. The NY rules for estate taxes differ from the federal rules. There are different basic exclusion amounts below which an estate is not taxed. You can use this resource to find out how local estate taxes work and to determine if your estate will be subject to taxation or not. The specifics of the probate process can vary based on factors like how much wealth the deceased has and the types of property owned by the deceased, as well as based on whether the deceased has a will and who has been to chosen to inherit. The individualized nature of each person’s estate plan helps to explain why hiring a probate lawyer is often so important. Get certified copies of the death certificate. Funeral home directors usually can provide these, and you’ll need them for things like claiming insurance or accessing financial accounts. Hire a probate lawyer. Executors need to hire legal help right away because the executors have to file for probate and take lots of other technical steps. If you’re planning to contest a will or if you want to make sure you get your inheritance as quickly as possible, hiring a lawyer can also become a good idea. Assemble wills and other estate planning documents. You need to find wills, trusts, and other legal documents that the deceased person created during his estate planning process. Assemble documents showing ownership of assets. A wide variety of different documents may exist, ranging from deeds and titles to account statements. Assembling legal paperwork. If the deceased person had a prenuptial agreement, any partnership agreements or leases, any other contracts, or many other different kinds of legal papers, you’ll need to get ahold of all of these different things. List assets owned by the estate. You need a full inventory of what the deceased owned so appropriate steps can be taken to transfer all property to new owners. List debts owed by the estate. Creditors have to be notified of the death and opportunity must be provided for all creditors to make appropriate claims on the estate. File for probate. You have to file for probate where the deceased person lived and owned property. Sometimes, multiple probate proceedings are needed. Give notice. Potential beneficiaries and creditors have to be notified of the probate proceedings. Complete required tax filings. State and federal tax returns may be required. The executor is responsible for filing tax returns that are necessary for the estate. Manage investments and property owned by the estate. It is the executor’s responsibility to protect estate assets. Executors can do this by monitoring investments, paying bills, and otherwise taking steps to ensure that estate assets are managed appropriately. Get estate property valued. There may be circumstances under which appraisals are necessary so a complete accounting of the assets of the estate can be made. Knowing what estate assets are worth is essential to determining what tax liability is triggered by the death. Go to probate court. There will be hearings held at probate court to determine the validity of the will and to facilitate other necessary steps to complete probate and transfer property to new owners. Transfer assets. At the close of the probate process, assets must be officially transferred to the new owners. Who the property is transferred to is determined by intestacy laws or by the expressed wishes of the deceased if the deceased created a will. Titles, deeds, and other formal legal paperwork signifying ownership will need to be changed. By taking these steps, you can successfully complete the probate process in New York. There may be additional requirements as well, and a Long Island probate lawyer can provide assistance in understanding what your obligations are. These resources can help you to understand what probate entails and can get you started on fulfilling your obligations during probate. The process, however, can be complicated and it is very important that you understand New York laws on probate so you can make sure the wishes of the deceased are respected and that inheritances are protected. 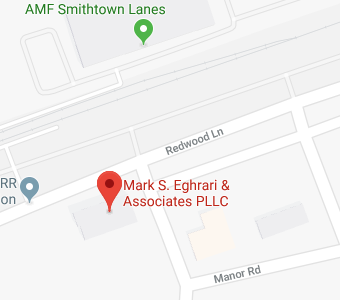 Mark S. Eghrari and Associates, PLLC provides representation to executors or personal representatives, as well as to heirs and other interested parties. Give us a call at (631) 265-0599 or contact us online to find out more about the ways in which we can assist you with the probate process.